Clara’s multi-cultural experience makes her the preferred real estate agent for foreign buyers and business executives looking to purchase property in Southern California as well as local homeowners interested in widening their prospects when looking to sell. In the luxury real estate market along the gold coast of southern California for many years, Clara Chen distinguishes herself by bringing a wealth of international marketing and business experience together with local market expertise in both luxury residential and commercial properties. A native of Hong Kong, Clara holds an MBA in International Business. Her fluency in English, Mandarin, Cantonese, and Taiwanese, professional demeanor, sincerity, trustworthiness, friendly nature, patience, exceptional negotiation skills, dedication to attentive client service, and local market knowledge have earned her countless repeat clients and referrals. Since moving to Newport Beach, Clara has established a successful career focusing on high-end luxury properties in coastal Orange County. Clara is a member of the Board of Directors of the Orange County Chinese American Chamber of Commerce (OCCACC) and serves with several charities. Her passion for real estate is followed by her love of golf where she is a member of the Pelican Hill Golf Club and several other golfing associations. 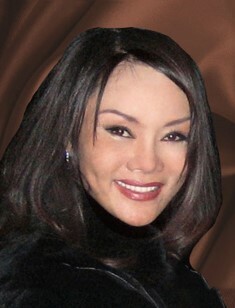 If you are looking for expert investment advice, knowledge of the Southern California’s luxury real estate market, and a courteous, attentive, bi-lingual realtor for purchasing and selling residential or commercial premier properties, Clara Chen is your preferred personal agent whose goal is to make your real estate dreams become a reality.